I made it! January 28 2016. I said I’d post when I reached my first target – to lose 2.5 stone. That happened yesterday. Not before time. I last lost weight on December 16th so it’s been a long road. I feel amazing. I’ve managed to reduce my BMI by 6 and drop about three dress sizes in the process. I’m not nearly at my goal – maybe six stone to go – but that’s okay. I’m a lot closer to the end zone than I was and I know I’ll get there. This isn’t a race. I’m not hungry at all. I’m not feeling the need to binge on junk. I eat when I’m hungry and I don’t when I’m not. Gone are the peckish nights when I motor through everything in the cupboard. Gone are the sugar cravings again. Back is the taste of good food and on that very subject I found a recipe on Facebook this week that I tried this evening for tea and it’s worth sharing. Bear in mind that I didn’t get home until 8.00 tonight – this recipe took about ten minutes to prepare and tasted delicious. It took a further half an hour to cook. I had made pasta sauce for the children’s dinner so that was our dip – Passata, cream, pesto and a little red wine, heated together until the alcohol burns off. Pre heat oven to 200 Celsius. Microwave this for about six minutes with a cover on. Mix the eggs, 100 gms of the cheese and the seasoning together. When the cauliflower cools down mix these two together. 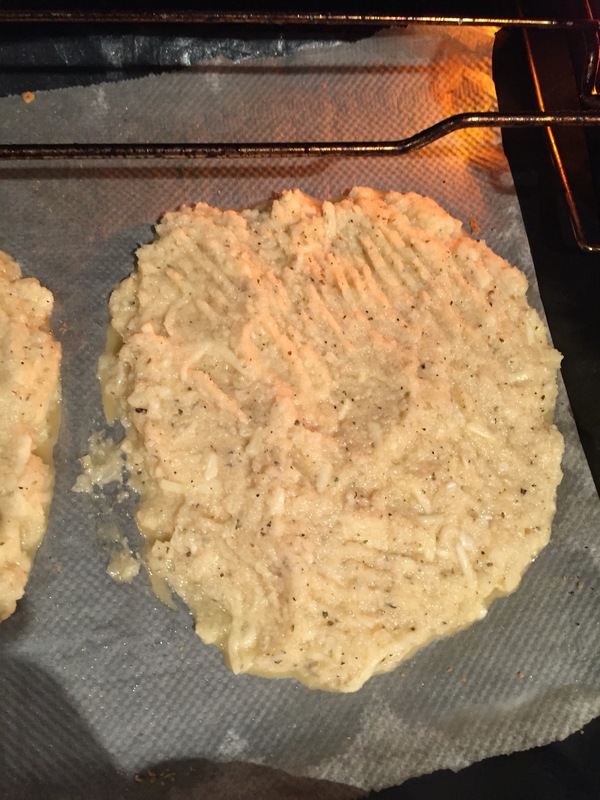 Pour out onto a parchment sheet on a baking tray. Make two rough circles of the mix. Add the rest of the mozzarella on top and bake for a further five or six minutes. Slice and serve with aforementioned tomato sauce. I’ve a few more recipes to share in the next week. I want to try out a few almond flour recipes and I saw an interesting nutty treat on Neven Maguire’s new cookery show that I’m going to try to adapt for Banting. It looks tasty but made with peanut butter so that’ll have to be changed anyway! It’s a long road that has no turning. January 23 2016. January is a tough month for all sorts of reasons. There are 31 very long days without a lot of money to spend. It feels like there is very little to look forward to after months of anticipation of the Christmas. It is a tough task during cold blustery winter evenings to remember why you are following a food plan that for everyone else seems overly restrictive and well nigh impossible. I started the month seven pounds up. To date I have lost six and a half of those pounds. It has not been easy at all. I have followed the https://banting.realmealrevolution.com food plan and eaten no carbs or sugar since January 2 and nothing was working until last Saturday when I woke and discovered that almost all of the Christmas weight was finally gone. This is a great result for me. However when I looked back tonight over my tracker on the site I realised that I have not lost any weight proper since December 16 – that’s 38 days stuck at the same loss. That has always been an issue for me. I’ll be honest, Paddy has gone back to some of his old ways – he will have the odd potato or a little rice with dinner, and this evening he had some stewed apples – I’m emptying two of my three freezers in an effort to use up some of the mountain of food that is in the house rather than just adding to the pile so stewed apples came up on the menu tonight! – another efficiency that will help in a penurious month! It can stick in the gut a little that although he is not following the plan as rigidly as I am, he is also maintaining his weight. It is a fact that weight loss is much easier for men than women. 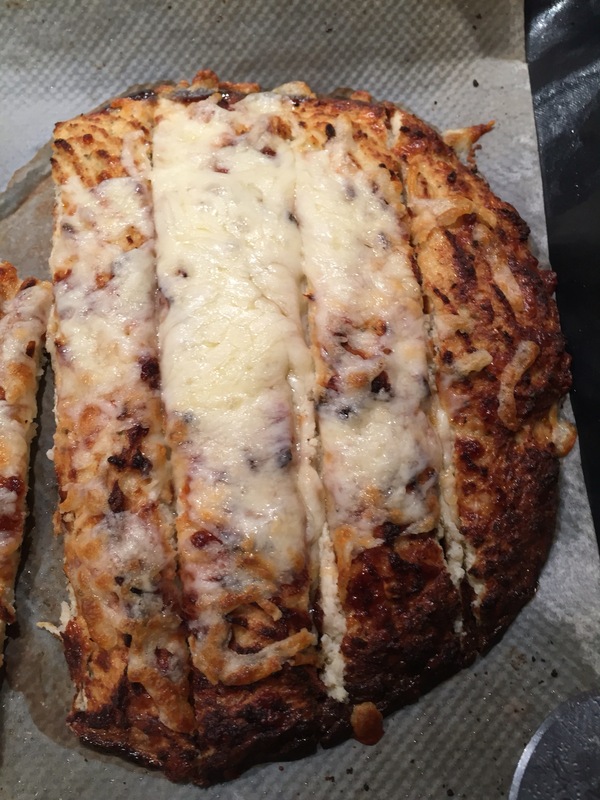 So last week, at my wit’s end with no evidence that I was going to shake off those seven pounds – you may remember I had 3.5 gone when I spoke to you two weeks ago – I took to https://banting.realmealrevolution.com and the participant chat page for advice. It is a fantastic forum. People there are all like myself, banters who are following the plan, and reading, googling and searching ways to become a little more knowledgeable about living the LCHF way. I must say the support on there is simply wonderful and it makes the whole journey less daunting knowing you are not alone. I got so much advice, more water, cut out the ounce of dark chocolate at night, eat twice a day, or try intermittent fasting even. What happened was that after getting all the advice I had a sit down myself and reassessed what I was doing that could be hindering the weight loss. One thing was that I had stopped drinking so much water – I immediately upped that. – must have a glass now that I think of it! I watched a video by an eminent Australian doctor, Robert Sabzo, on the benefits of intermittent fasting – I haven’t given that a try yet – I am afraid that if I did that I would go mad afterwards and undo all the good the fasting did for me – however I’m going to share the link – it makes for a really interesting article and the weird thing about this eating plan is that it’s very easy to go for 18 hours without eating and yet not feel hungry. Another thing which had crept in without my noticing it much was that I was eating an awful lot of protein – far more than I needed. If you eat too much protein then the body converts it into carbs so you are on a slippery slope downwards again! I had been doing very well on my 11,000 step a day challenge but read that when you are trying to lose weight that exercise causes you to make cortisol which can inhibit weight loss. I did play badminton on Monday night – with a slightly dodgy knee – not dodgy anymore – decidedly in trouble – so the stepping has dropped back to about 6000 a day – and the weight dropped! Finally I ate a lot of eggs again – I’d gotten out of the habit and once I started back on them again I FELT thinner – it’s funny isn’t it! I also managed this week to get into a pair of jeggings that have never been on me before so I know that even though the scales is not showing the loss my body is – and that’s good enough for me – the scales will follow through in a few days, or weeks. No cravings – I spent an hour dishing out cakes today to school visitors – no interest and no desire for the food. I love that power – I control the food now! So here are a few of the sites that have become my go to places when I am looking for advice, inspiration or just some light reading! This is a recent one for me – some interesting recipes on there – a gnocchi recipe made from mozzarella and egg yolks – see you can still have pasta and the like! This is a lovely site – not everything on here is a LCHF friendly recipe but you can find lots of interesting ideas there. This site is invaluable – it is a blog by two wonderful people on the https://banting.realmealrevolution.com/ forum and they have all sorts of interesting information there. There are testimonials from people who have lost a serious amount of weight on this plan, and I love the irony that it was originally a page that sold handmade chocolates – it just shows that if a chocolate maker can give up sugar anyone can! There is also a really good keto calculator on the page which will help you to decide what ratio of fats to protein and carbs you should be eating for your size etc. I’ll post again when I finally break the 35 pound barrier! Back on the wagon – and stepping it out as well! January 10 2016. They are not my feet – obviously – but that is what I decided to do for the New Year – it’s not a resolution – apparently we fail at all of those – but it’s a challenge I have set myself – to do at least 11,000 steps a day while Operation Transformation is on this year. For those of you who don’t know, it is a weight loss programme in Ireland on RTE 1 which takes five ordinary folk and makes them leaders and they follow an intensive eight week weight loss and life changing plan – I am determined to talk to Dr Donal O Shea of that programme when I reach my target. Check out the page here http://www.rte.ie/ot/ – I don’t follow the diet or exercise plan but it is a great motivator to keep at your own plan – and that’s what I’m doing! The irony of watching is not lost on me this year. For the last few years Paddy and I faithfully followed the programme but we watched with a cup of tea in one hand, and a pile of biscuits in the other! Not any more! Set yourself a target. Make it realistic, difficult, but achievable. I have two. I will do my 11,000 steps, and I will be down 3 stone by February 14th. That’s the midterm here in schools and as I teach in my real life that’s as good a target as any. I have lost 3.5 pounds of the 7 pounds gained at Christmas so that’s a reasonable goal. I have 2 stone 2.5 pounds off – this will push me to be disciplined. They say women keep their promises when they make them public to their friends – I guess that’s what I’m doing then! 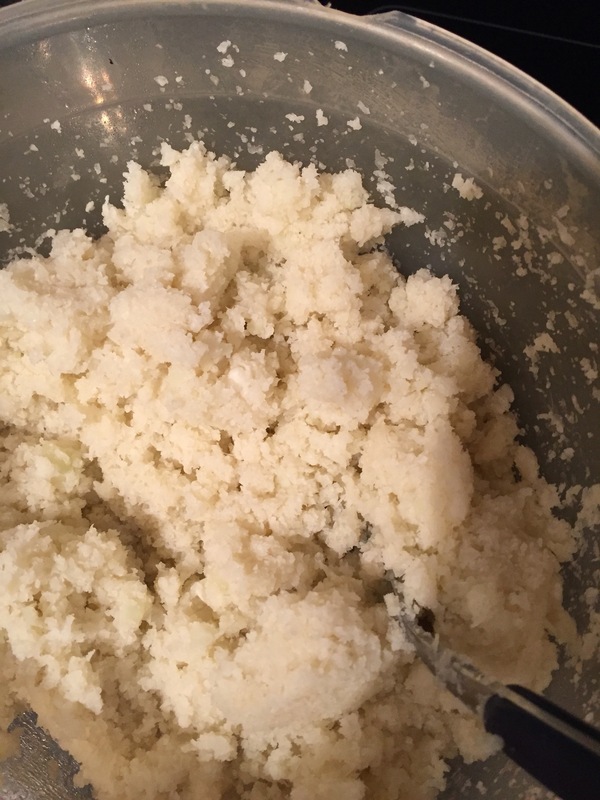 I made a new recipe yesterday evening which I want to share. I have found myself going back to our old staples this week – I had gotten into lazy cooking habits really over the Christmas so I am back cooking dinners for the freezer. I did a big batch of Thai green curry which our children loved as much as we did, and I made 9 dinners of banting lasagne today. I also made a divine creamy chicken recipe which was incredibly simple and so tasty Paddy was eating it out of the pot! Chicken and Bacon in a creamy white wine sauce. Fry off the bacon in the coconut oil. Remove the excess fat and add in the chicken pieces and cook until fully browned. Add in the pepper, chopped to taste and then toss in the cream, pesto and white wine and simmer on a low heat for about an hour. The chicken becomes soft and tender and the flavour is spectacular. One other recipe I must share is a fishy one – I’ll post it during the week – a delicious and incredibly simple one – divine! Talk soon. Feel free to make your targets public if you wish as well! New Year, new you! Or nearly new anyway. January 5 2016. There’s always such a plethora of programmes, articles and information thrown at us in January about losing weight and getting fitter that I am surprised there isn’t a backlash against it all and an anti-fit campaign raging somewhere – maybe there is. After I posted last week I felt so virtuous that I decided on New Year’s Eve that I could have another day of junk – I deserved it – and I had only put on four pounds after all – usually Christmas could be ten! Unfortunately I learned too late that “cheating again” had major consequences, and it has been a very difficult week trying to shake off the excess. I had a blowout of a day on New Year’s Day, and in fact New Year’s Eve wasn’t bad at all. I have issues with New Year’s Day in general – I know it is meant to be the start of something new for everyone but I don’t like to be led so I never have a good day on January 1. Usually it’s a rough one – and so it was this year…..
bisuits, cake, sweets, chocolate, not a lot of actual food on that list you’ll notice. I was up seven pounds on January 2 and I felt like I had the world’s worst hangover. I’m not joking. It felt like I had been out to twenty four pubs the night before – and I hadn’t had any alcohol at all. I felt ill and unwell and terrible all day. I also was annoyed with myself that I had just eaten junk which hadn’t even tasted nice. My taste buds have definitely changed. I got no satisfaction from anything I tasted. The other part that upset me was that my BMI went over 39. It started at 43.64 and I had been down to 37.9. I started back properly on Saturday. Here we are at Tuesday night – I’m about to head back to work and I have two of those seven pounds gone but I’m back in the zone. My BMI is more importantly below 39 again – it’s back to 38.74 – and that is such an incentive. I even went back onto the website and logged all the food I’ve eaten since then. I am eating a lot more these few days than I had gotten used to but I am following the banting mantra – if you are hungry eat – and I know that the quantity will reduce when my body gets used to the foods again. I had some yogurt and berries and flaked almonds on Saturday – God I had forgotten how beautiful it all tasted. This morning I had two fried eggs and an avocado, and made a creamy chowder for tea which was gorgeous. 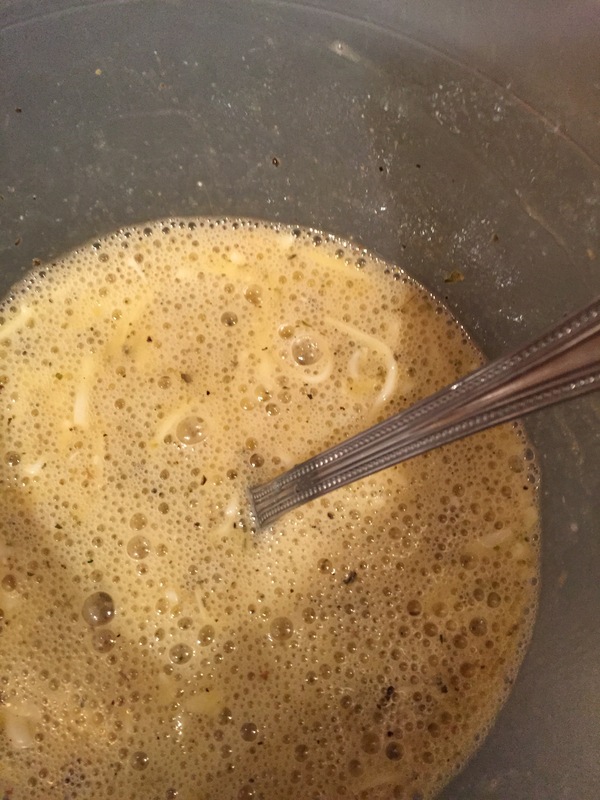 I made some chicken broth and then took some of it and added a little cream, blitzed it smooth and then added my packet of fish pieces. It was delicious, and also satisfied my visual sense – it looked like chowder! The tomato based one is yummy but it doesn’t look like most chowder does. I don’t want to be anyone different to who I am. We live in a society that teaches us to always want to be someone different, to always aim to be thinner, richer, happier. I’m happy as I am. My only goal is a health one. I want to be fit enough to run with my girls this summer, and able to keep up with the hectic pace of everyday living without feeling exhausted. Happy New Year to all and good luck with your own challenges. I will be tuning in to Operation Transformation, starting tomorrow evening, and signing up for the million pound challenge – maybe you will too – let me know how it goes for you. In the meantime I have five pounds that need to get back to where they belong – down the drain – I’ll keep you posted.